If your current wireless router is more than two years old, you may want to consider shopping for a replacement — but not just any replacement. These days, if you’re going to purchase a new router, it really ought to support MU-MIMO technology for maximum wireless performance. This may not seem that big a deal if you regularly use Ethernet instead of Wi-Fi Wi-Fi vs. Ethernet: Which Should You Use and Why? Wi-Fi vs. Ethernet: Which Should You Use and Why? The world is going wireless. Does that mean it's all over for Ethernet? Read More , but think beyond your PC. Smartphones, tablets, Kindles, cameras, baby monitors, and so many other devices only support Wi-Fi. And with so many devices connected to Wi-Fi, MU-MIMO becomes even more important. MU-MIMO stands for Multi-User, Multiple Input, Multiple Output. If that seems overwhelmingly complex, don’t worry. The concept is much simpler than it sounds, and the benefits are well worth knowing. To understand the benefits of MU-MIMO, it’s important to understand how routers traditionally operate. If you already know how they work, feel free to skip ahead. Before MU-MIMO came onto the scene, wireless routers mainly used a technology called SU-MIMO, which debuted with the 802.11n Wi-Fi Standard in 2007 and stands for Single-User, Multiple Input, Multiple Output. SU-MIMO enabled routers to simultaneously send and receive data to and from a device (“multiple input/output”). Before SU-MIMO, routers could only send or receive at any given time. SU-MIMO significantly boosts wireless data transfer speeds, but it still has a massive downside: routers can only send/receive with one device at a time (“single user”). Indeed, if your router is cheap or old, it can only communicate with a single device at a time. That probably sounds wrong, but it’s not. Right now, you might have a computer, a laptop, a smart TV, and several smartphones and tablets connected to your router — and they can all use Wi-Fi at the same time. So what’s all this about “one device at a time”? Think of an SU-MIMO router like a card dealer. There may be four players at the table all playing one game, but the cards are dealt to players one at a time. Imagine each card as a “data packet” and the analogy becomes clear: SU-MIMO routers constantly cycle through all connected devices and serve them one at a time, but do it so quickly that it seems simultaneous. But this is a huge bottleneck, hence the 802.11ac Wi-Fi Standard. There’s one more thing you need to know about to understand MU-MIMO: the 802.11ac Wi-Fi Standard. If you already know about AC routers and their specifications, feel free to skip ahead. The 802.11ac Wi-Fi Standard was published in 2013, a full six years after 802.11n. The new specifications brought several improvements and advancements that increased maximum Wi-Fi speeds, but not all of those specifications were realized right away. In fact, manufacturers incorporated aspects of 802.11ac in two phases: Wave 1 and Wave 2. Wave 1 began in 2013 and only involved 802.11ac features that were considered low risk. For example, extension from 40 MHz to 80 MHz channels and support for 256-QAM modulation were rather straightforward, so manufacturers created new router models with these features and slapped the AC label on them even though they didn’t live up to the full standard. Wave 2 began in 2015 and saw the incorporation of harder-to-implement features of 802.11ac, with the most important feature being MU-MIMO. If you have an AC router from before 2015, you do not have MU-MIMO! If SU-MIMO is a dealer at a cards table, then MU-MIMO is a dealer with four pairs of arms, each pair dedicated to a single player. The analogy starts to break down, but the core concept is sound: MU-MIMO enables routers to set up separate data streams so that multiple devices can be served at once. Imagine you’re watching Netflix on your computer while your spouse or sibling is using Skype on their phone. 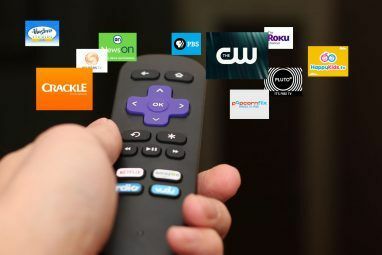 With SU-MIMO, your video may buffer or drop to a lower quality because the router is constantly switching back and forth between you two as it sends data. With MU-MIMO, the router has “multiple minds” and can constantly send data to both of you without the constant back-and-forth switching. To be clear, MU-MIMO doesn’t increase your maximum wireless speed. 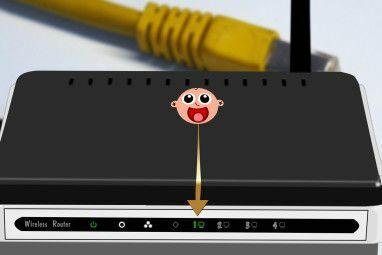 It simply makes it so that you don’t lose speed when multiple devices are connected and putting the router under heavy load. Instead of splitting its “attention” across the devices, your router can still serve you at 100 percent. There is one big limitation though. MU-MIMO-enabled routers come in 2×2, 3×3, and 4×4 varieties, which serve “undivided attention” for up to two, three, and four data streams, respectively. If you have 4×4 MU-MIMO support and connect six devices, some of those devices will have to share a data stream, and that shared data stream will be SU-MIMO. One other notable downside is that MU-MIMO signals only work with devices that can decode the 802.11ac protocol. This won’t be a big deal in a few years when 802.11ac support becomes ubiquitous, but keep in mind that older devices won’t be able to take advantage of this technology. MU-MIMO should not be confused with MegaMIMO, which is a different kind of wireless technology meant to solve issues of Wi-Fi spectrum crunch. Long story short, if you have at least two active Wi-Fi devices in your home at any given time, then MU-MIMO will help you maintain optimal wireless speeds during data-heavy activities. Look for a wireless AC router released in 2015 (or later) and make sure it explicitly supports MU-MIMO. If you’re still unhappy with your wireless speeds, check out these common reasons and fixes for slow Wi-Fi 4 Reasons Why Your Wi-Fi Is So Slow (And How to Fix Them) 4 Reasons Why Your Wi-Fi Is So Slow (And How to Fix Them) Suffering from slow Wi-Fi? These four issues can slow down your network. Here's how to resolve them to get speedy again. Read More . If wireless coverage is a problem, try these tips for boosting Wi-Fi signal 8 Tips to Effectively Boost Your Wireless Router Signal 8 Tips to Effectively Boost Your Wireless Router Signal If your wireless router's signal doesn't seem to reach very far, or if your signal keeps dropping for some weird reason, here are a few things you can do that might fix it. Read More . However, if that doesn’t work, you may be able to improve coverage using Wi-Fi extenders or powerline adapters Wi-Fi Extenders vs. Powerline Adapters: How to Fix Poor Wireless Signals Wi-Fi Extenders vs. Powerline Adapters: How to Fix Poor Wireless Signals If your router's Wi-Fi signals are weak and unreliable and you can't seem to find a solution, the answer may lie in Wi-Fi extenders and/or powerline adapters. Read More . I personally use powerline adapters and my internet has never been more steady and reliable. 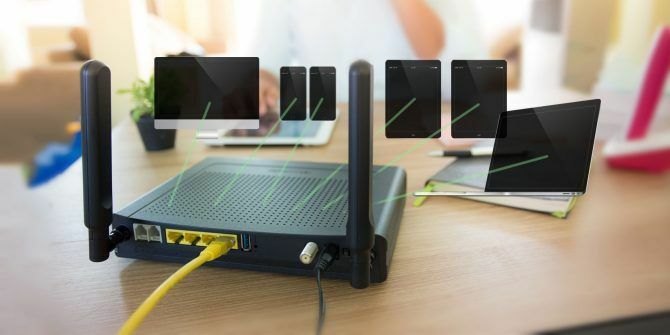 For future-minded folks, a home mesh Wi-Fi network 5 Reasons to Buy a Mesh Wi-Fi Router Kit (And 3 Reasons Not To) 5 Reasons to Buy a Mesh Wi-Fi Router Kit (And 3 Reasons Not To) Is your router tucked away, battling thick walls and providing spotty coverage? A mesh Wi-Fi system wants to put an end to that horror, boosting your wireless coverage throughout the house. Read More might be even better. Did this article answer everything you wanted to know about MU-MIMO? If not, feel free to ask below. And if you already have MU-MIMO, let us know how it’s working out for you. Explore more about: Ethernet, Router, Wi-Fi. What Is Data Corruption? How to Fix a Corrupted Hard DriveThe Future of Medicine: Can an App Diagnose Health Issues? Very informative and very clearly explained . "The 802.11ac standard supports up to four clients in a single AP-to-STA transmission. In practice, today's 4x4 AP and router designs support only three STAs per transmission. The diagram taken from Is MU-MIMO Ready For Prime Time? shows what happens with four MU-MIMO STAs. The second transmit frame swaps out MU STA #1 and swaps in MU-STA #4. STA #1 then gets serviced in another transmission as a normal (SU) STA." 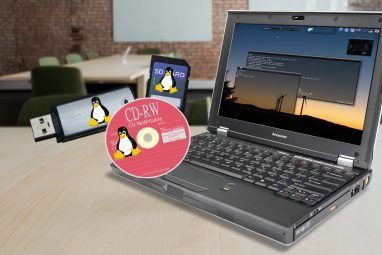 'Nice generic overview'. Would I be wrong to hear a sneer in every single word? The writer has, in my opinion, done a very decent job of trying to explain a topic which is complicated, and would justify a book! That is a skill which is not given to everybody, as you have demonstrated by quoting that passage, which would put 90% of people to sleep after about 10 words. It's your lucky day, I've just reached my threshold for people who disrespect the efforts of others. I think your use of the word 'generic' is a good start in demonstrating that you are trying to be smart and not helpful. I think it is an incorrect usage. Just say, 'Good effort, I think you're largely right, but the topic is very complicated. For those interested, there is an article HERE, which includes some recommendations'. Thanks Richard, I appreciate your support!